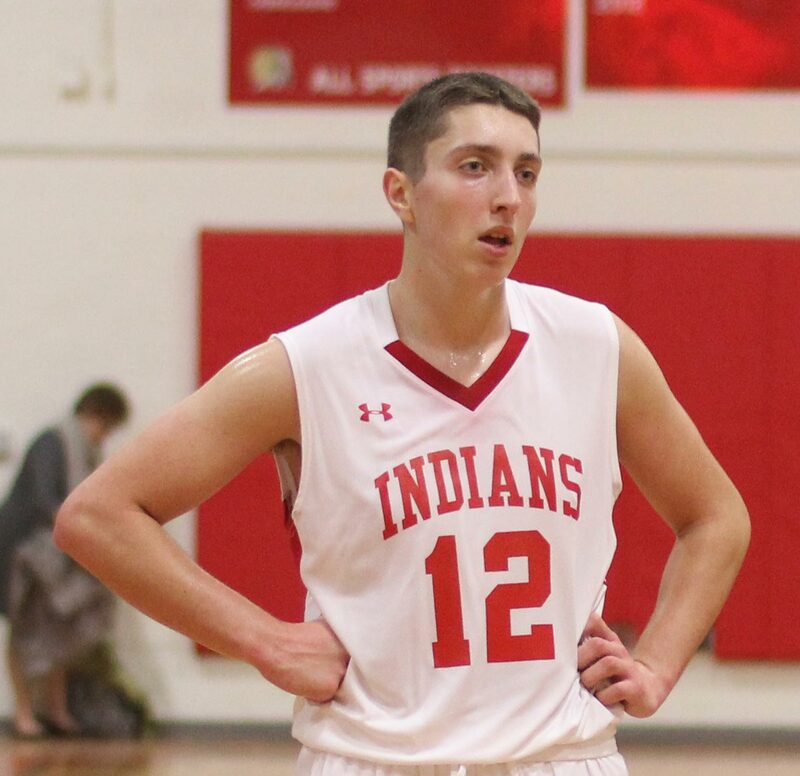 (Amesbury MA) The Amesbury Indians used their size and excellent free throw shooting to defeat Ipswich, 76-59, on Thursday night in Cape Ann League play. Kyle Martin paced the home team with twenty-one points. 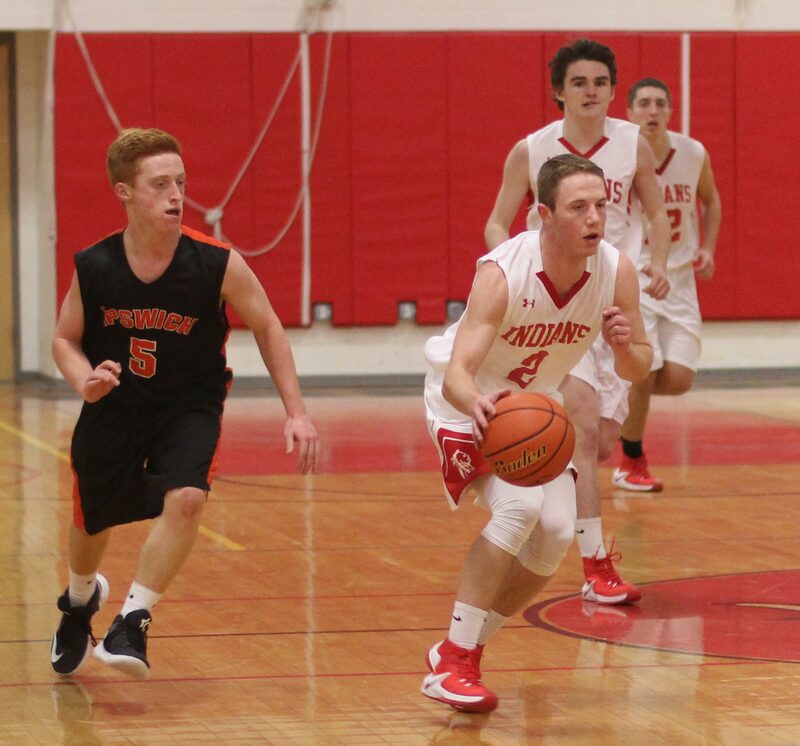 Amesbury (2-1) employed an active 2-3 zone that kept Ipswich away from second chances and limited the Tigers (2-2) to long-range opportunities. Even the long-range Ipswich tries were heavily contested by the taller Indians. 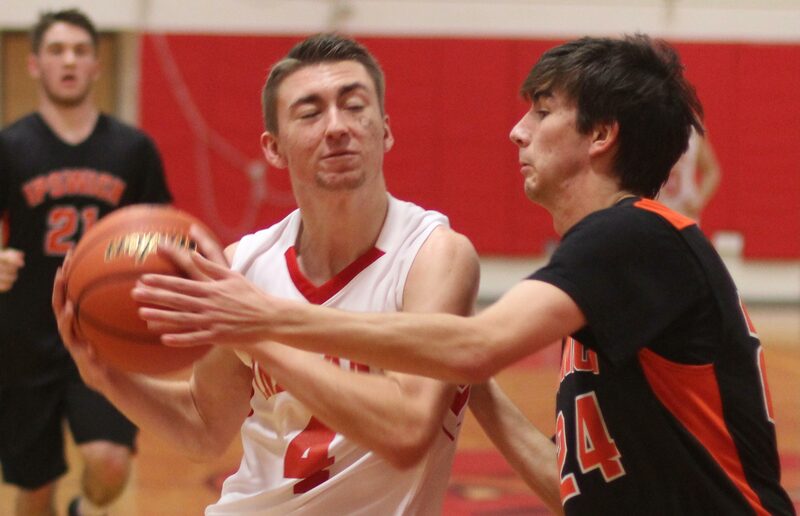 The Tigers took an early 4-2 lead but went cold for over four minutes while Amesbury ran fourteen straight points to create separation, 16-4, in the first quarter. Kyle Martin contributed five points while Ryan Patterson (11 points) added two fast-break layins. 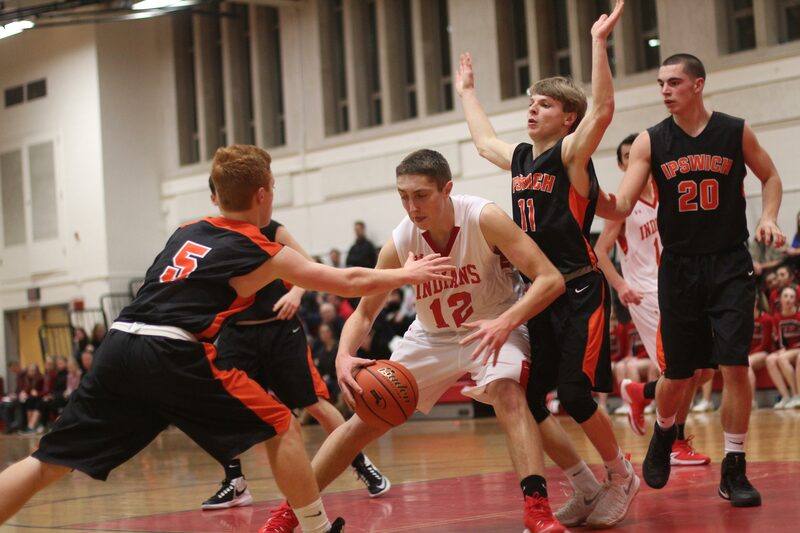 Amesbury was intent on breaking after every rebound and they had plenty of fast-break chances. 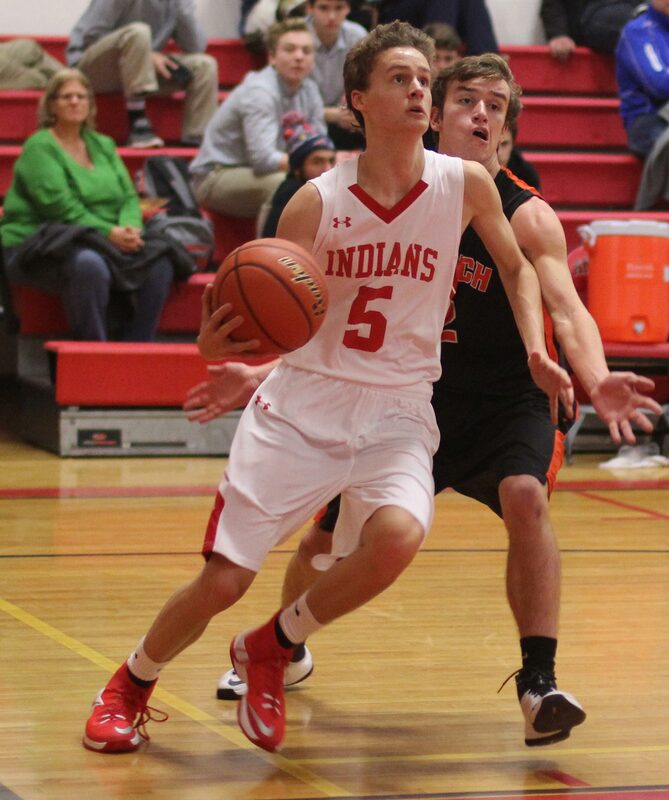 The Indians had a 12-turnover second period and let the visitors back into the game. 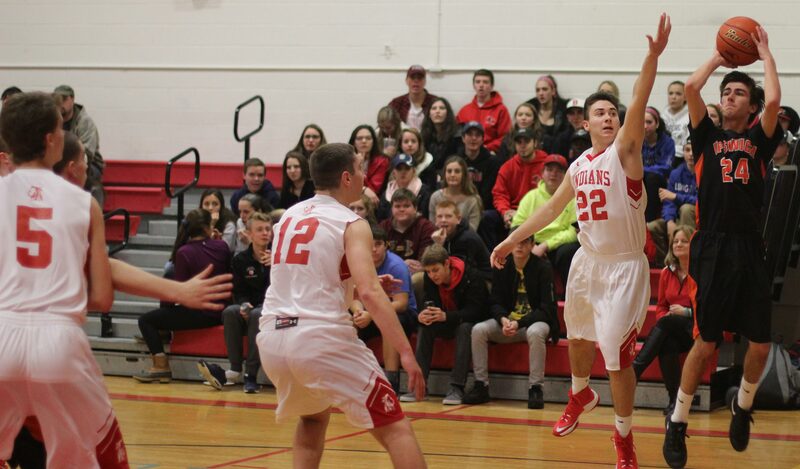 Two consecutive 3’s by junior Zach Long forced Amesbury out of the zone defense and Ipswich was able to get to within five (30-25) on a third Zach Long three with less than two minutes left in the 2nd quarter. 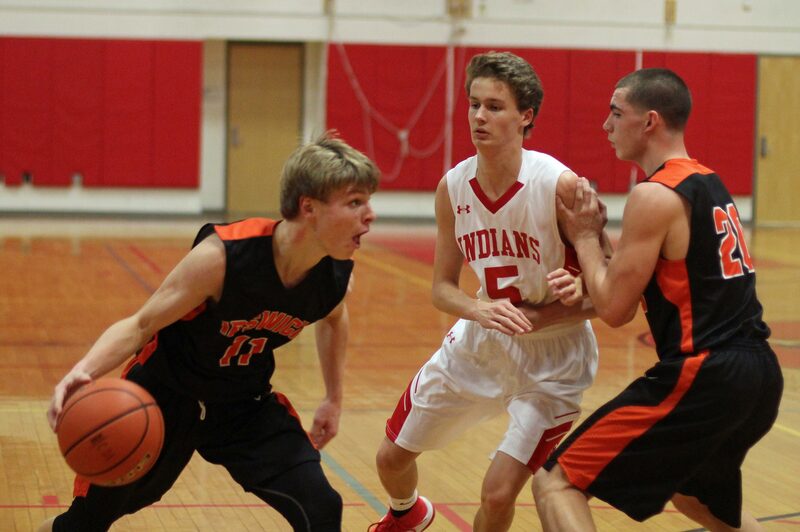 Amesbury returned to their zone defense and Ipswich resumed struggling to get scores. Amesbury led, 32-25, at the half. The Indians took control of the game in the 3rd period. They frequently took the ball to the basket to get points. Plenty of fouls were called and Amesbury was remarkable at the foul line making 24-of-28 in the second half. 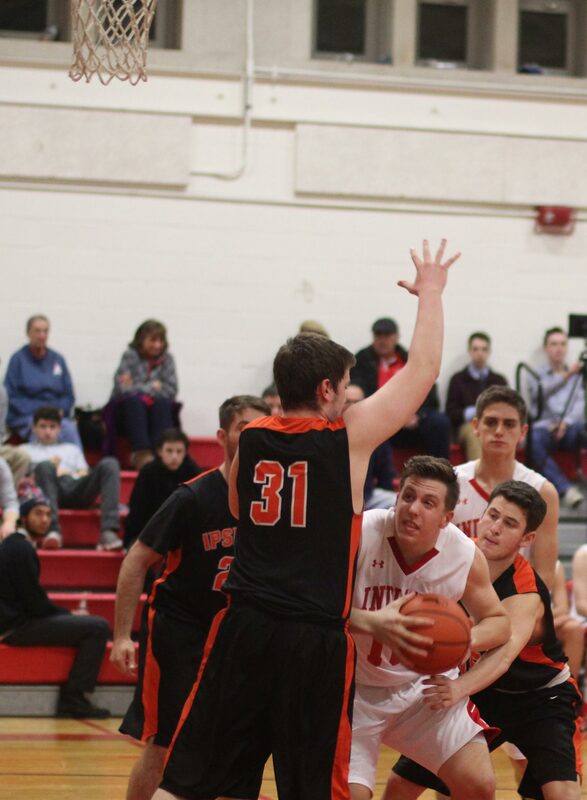 Amesbury had the lead to twelve (37-25) a minute into the third quarter after a three by Will Parady (15 points) and a layup by Tim Hudson assisted by Will Parady. A run of eight unanswered later in that quarter elevated the gap to nineteen (50-31) with less than two minutes to go. Four free throws by Kyle Martin (he made ten of twelve) and fast-break layups by John Sydlowski and Tim Hudson provided the points. The final separation had been established and Amesbury went on to get their second win of the season. They have now defeated Ipswich three straight times. Ben Yanakakis (12 points) connected three times from downtown in the final quarter for the Tigers. The foul shooting of Amesbury was impressive. They only hit three of seven in the first quarter but after that they were 32-for-36. That will win you a lot of games! What won’t win a lot of games, however, were the plethora of turnovers. Neither team took good care of the ball. 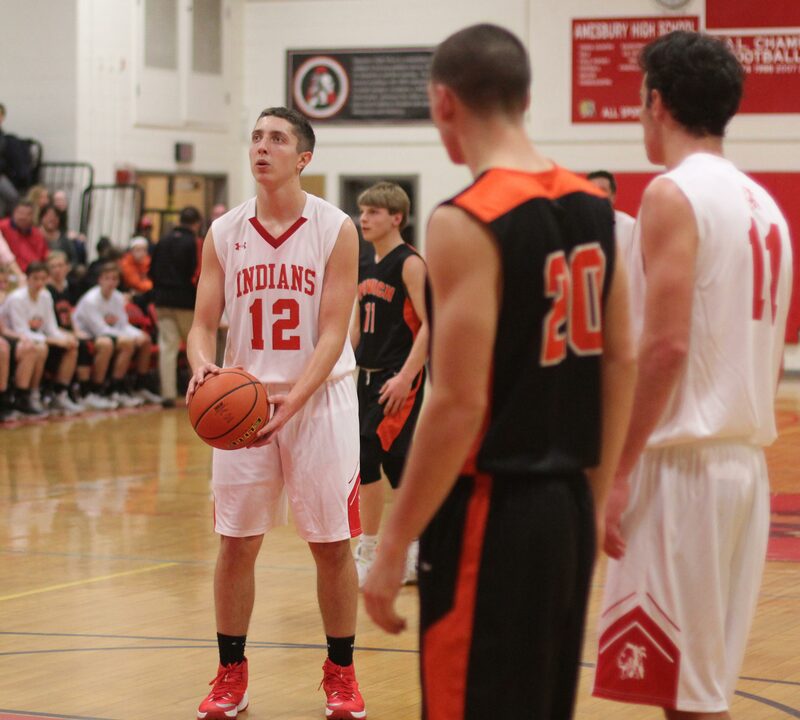 I had Ipswich for thirty-one turnovers while Amesbury had twenty-seven miscues. That will lose you a lot of games! 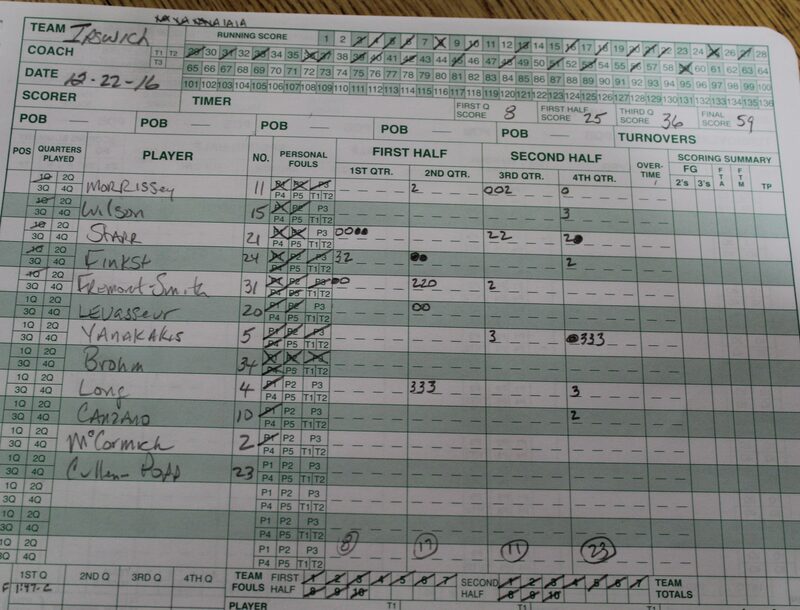 Amesbury was still able to win because they could get close to the basket and score or cash in from the line. 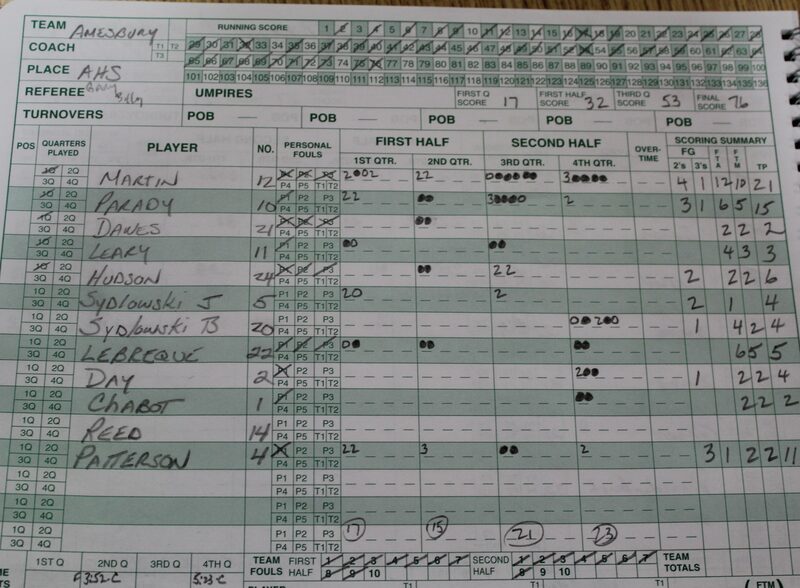 Ipswich lived outside (made ten 3’s) and capitalized on some of the Amesbury turnovers. The Tigers were 10-10 last season and made the MIAA tourney for the first time since 2008. 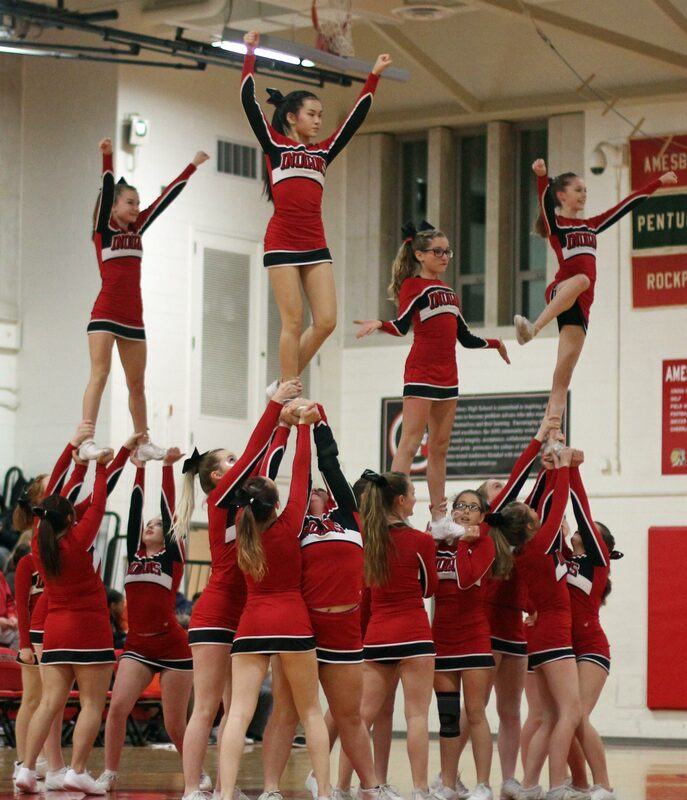 Amesbury was 12-7 last year and went out in the first round in the tournament at home to Saugus. I covered that game. The Indians graduated all five starters but have the size to cause teams trouble. They will have to learn to take much better care of the ball to get another 12-win season in my opinion.